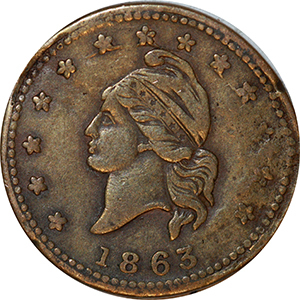 The Chesterfield Historical Society of Virginia (CHSV) will present a lecture on Numismatics and the Civil War at historic Magnolia Grange House Museum on Saturday, October 3 at 12 p.m. The lecture will be presented by local numismatist (collection of coins) and currency dealer Parry Bragg who serves as a director on the board of the Richmond Coin Club as well as the board of the Virginia Coin Club. Mr. Bragg will discuss the history of currency during the 19th century prior to and during the American Civil War. The lecture at Magnolia Grange is free. For more information, please call Tamara Evans at 796-1479.